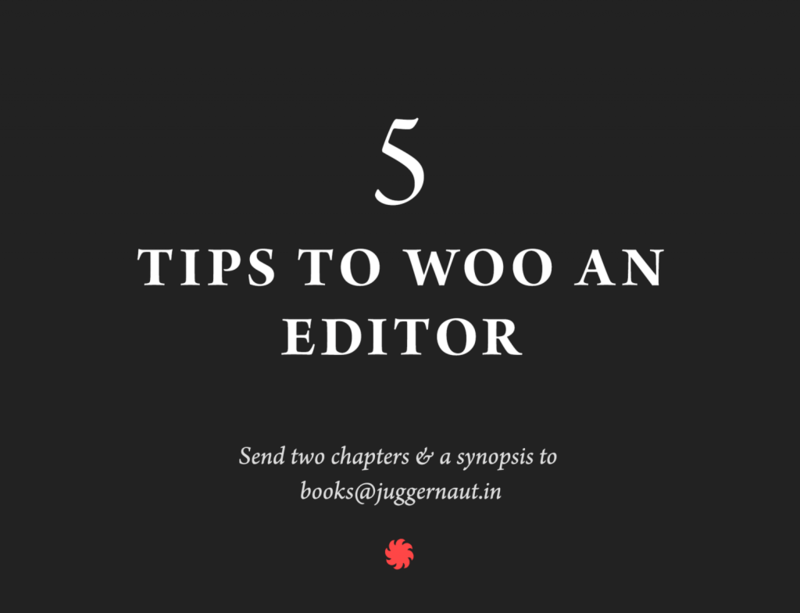 Often times, most editors know whether they want to read further by the end of the first page. So work hard on that first page so that it makes the best impression on the editor. When an editor asks for a rewrite, it means there is a certain potential in your story. What it doesn’t mean is you send back the submission in a week’s time. Work on your story; it may take two months, it may take a year, but be at it. And remember Hemingway’s maxim: ‘Write drunk, edit sober‘. No point insisting to an editor that meeting you will convince her the book needs to be published. Editors often don’t meet their biggest authors, so a meeting will not help. Instead, work harder on your story. Put effort in your submission; no one else will want to read it if you don’t feel like reading it. Don’t make it messy, with ten different fonts and sizes. Finally, don’t take rejections to heart. Every writer has been rejected at least once in their lifetime, so take a rejection letter as an inspiration to work harder at your craft. You obviously have a story to tell if you’re writing — just tell it in a better way!